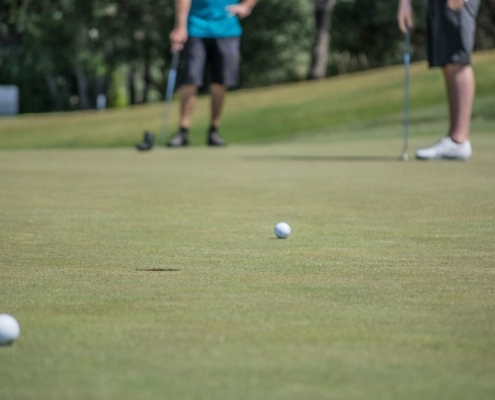 How many times have you found yourself perfectly positioned in the middle of the fairway with what should be a relatively easy iron into a green, only to walk away from the hole with a double bogey or worse? For the vast majority of people, the answer is a lot. 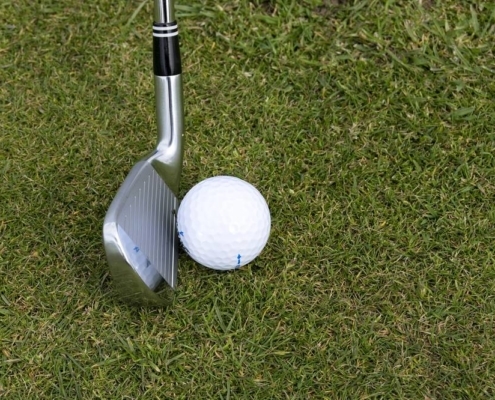 Irons can swiftly ruin a potentially fruitful hole, all with one slightly off swing. On the other side of the coin, however, they can also save you from a whole lot of trouble. Put simply, irons are a hugely important part of your game. You might not use them as much as a putter, for example, but you’re going to need them for a huge variety of shots – ranging from 100 meters right up to 250 meters. As a result, it’s pivotal that you have a set that suits you. We’re all after that perfect set, the type of irons that you hardly feel when you hit it flush, and are forgiving when you don’t hit one out of the middle. The type that will consistently give you the same outcome with the same swing, and that you can predict the distances of to within an inch – well, maybe not an inch, but you catch my drift. Fortunately, there are a boatload of options available on the market. Unfortunately, that means it can sometimes be difficult to make a decision on what the most suitable irons are. Just take a look at this article from Today’s Golfer Equipment Editor Simon Daddow – there’s shafts, cavity backs, soles, gapping and much more. Depending on how into your golf equipment you are this may mean a whole lot or nothing at all to you, but for most people it’s an overwhelming amount of information. 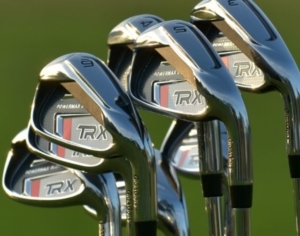 Perhaps the most important concept to take out of the above article, rather than all the information about the specificities of different irons, is the fact that different clubs are suitable for different players. This is the case with all golf clubs, but irons in particular are made for a certain level of golfer. If you’re a higher handicapper, many irons will be too difficult to consistently hit well and will ultimately be detrimental to your game. Conversely, golfers at the other end of the scale need to find a set of clubs that’s going to enable them to go to yet another level. Confused yet? As we move forward, we’ll try to keep it as simple as possible. We’ll start by discussing a couple of important elements of the clubs, before moving on to what types are the best for different levels of golfers. Before we get into the nitty-gritty detail about the clubs themselves, we need to discuss the importance of getting a set of clubs that actually fit your body and your swing. No two golfers are made equal – heights vary, arm lengths vary, and perhaps most importantly, swing mechanics vary. Basically, this means that when you buy off the rack, you’re buying an imperfect set of clubs for you. They weren’t made for you, so the chances that they will be an ideal fit is slim to none. Many people think they aren’t good enough to get custom-fit clubs, but the reality is actually the opposite. According to TaylorMade’s 2009 national clubfitter of the year Bob Van Sweden, the higher your handicap, the more important it is to get your clubs fitted to you. Otherwise, all sorts of things can go wrong. If they’re too short, you’ll hang back to lift the ball up off the ground. Too long and the opposite happens. Imagine trying as hard as so many of us do to shave shots off our round, only to realise that your clubs have doomed you from the beginning. 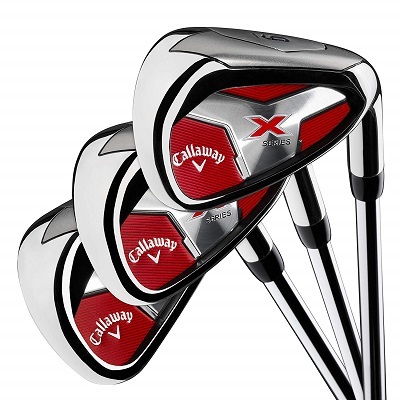 That with the set you have, there is essentially a ceiling on how much you’ll be able to improve your iron-play. A frustrating thought to say the least, which is why it’s so crucial to get your irons custom-fit. Historically, there’s been a pretty simplistic view about graphite and steel shafts. As Derek Evers of Golf Digest points out, graphites were only for those with particularly slow swing speeds, while any player worth their gran of salt would use steel. And perhaps that was justified in the past, when graphite shafts were significantly lighter and tended to fluctuate a little in weight. Nowadays, however, it’s a little more complicated, and a number of Tour level players have started using graphite shafts. But which one is most suitable for you? In a very general sense, the old adage about steel shafts and low-handicappers still holds true – most players hitting off a low number prefer the consistency provided by steel shafts. This isn’t exclusively because they’re good – it’s more to do with the fact that lower handicappers tend to have a faster swing speed, which can be a problem if the shaft of their club is too light. That being said, there are plenty of graphite shafts on the market, particularly in recent years, which are a little heavier and will react more like traditional steel shafts. The drawback of steel shafts, particularly for higher handicappers, is that they don’t tend to absorb vibration as well as graphite shafts, and, in effect, are easier to mishit. True Temper Golf, the leading manufacturer of golf shafts in the world, do a great job of explaining the major differences between graphite and steel shafts in this video. Do you want narrow or thick soles? This can have a massive impact on how your clubs will respond to your swing, and the answer is going to be very different for players of different caliber. The sole, for those of you who don’t know, is the very base of the club, the part that rests on the ground. 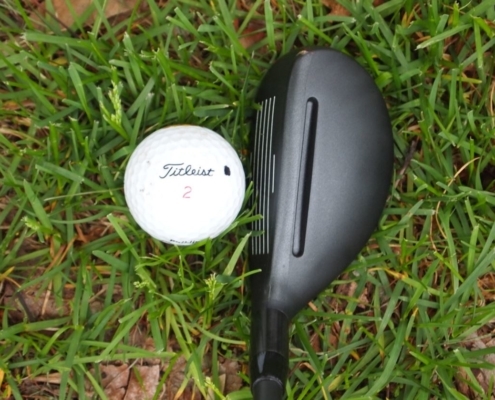 Somewhat intuitively, if this is thicker, then more of the club’s weight is at the bottom of the club. What this means for your shot is that it will be easier to get in the air, thanks to our old friend gravity. Conversely, narrow heads require the swing itself to do more of the heavy lifting. As a result, these are typically used by higher quality players. If you’re a high handicapper using irons with narrow soles, chances are you’re going to have a tough time getting a consistent ball flight. So, with these factors in mind, it’s time to dive into what sort of clubs are most suitable for a player of your level. 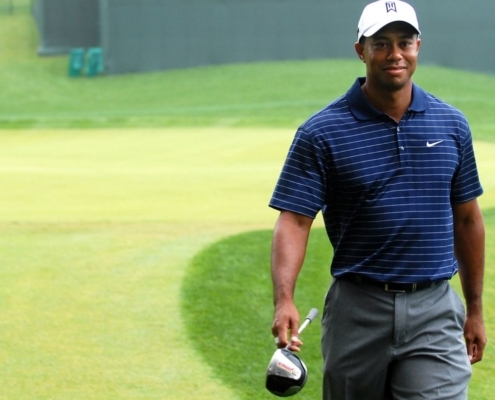 What are the best golf irons for a high handicapper? Put simply, you want an iron that’s a little more forgiving. If you’re playing off a higher number, one of the main reasons is that your swing isn’t consistently the same – which means you need a club that isn’t going to punish you too much when your swing is a little off. 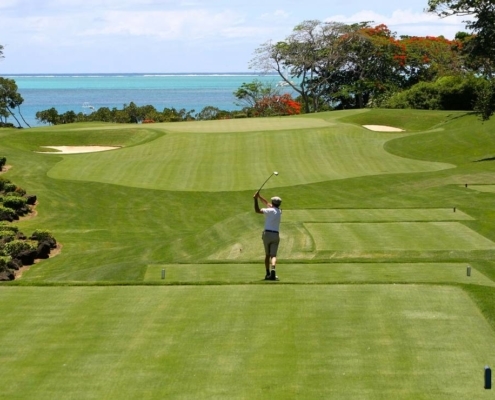 Otherwise, you’ll find far too many holes ruined by a bad iron shot, the kind that ends up out of bounds with the wrong iron and in a salvageable position from the rough with the right one. As we mentioned above, you’re going to want clubs with more weight at the bottom of the club – clubs with a thicker sole. This will help you to consistently get the ball in the air. You also likely want to be looking at graphite shafts – these will tend to be a little more forgiving and allow you to gradually improve your game. It’s important to be honest with yourself. 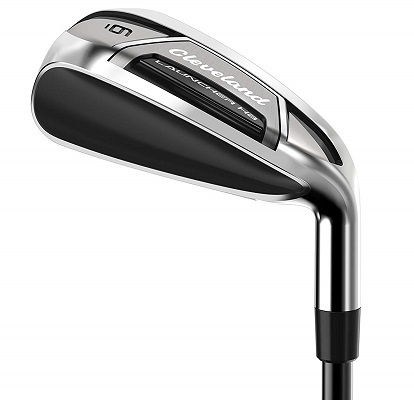 Many high handicappers will want to purchase irons that are typically reserved for better players, in the hope that they will improve and continue to be able to use the same clubs. The problem is, throwing yourself in the deep end in that way makes it difficult to improve in the first place. Golf Monthly’s Sam Tremlett highlights a number of great options for beginners, and if you run through them you’ll notice that they are, for the most part, thick soled and have graphite shafts. So follow these simple rules, get your clubs custom-fit, and you’ll reap the rewards. Mid-handicappers are a little more difficult. Professionals and very high level golfers will generally go for steel shafts with a narrow head, less experienced players the opposite. The mid-handicapper can go either way. Most mid-handicappers are looking to take their game to another level, so if this is you you’re probably looking for a set of irons that will enable you to improve, rather than one which will simply allow you to play to your handicap. Ideally, you want a club which offers you plenty of distance while maintaining an element of forgiveness for those occasions when you don’t quite hit it as sweetly as you would like. Fortunately, there’s a type of club which fits exactly this bill: the game-improvement iron. As the Golf Digest article above outlines, these clubs utilise significant amounts of technology to help you get the best of both worlds. And it’s easy to understand why – a huge proportion of the world’s golfers would find themselves in the category of a mid-handicapper. It’s a massive target market, so it’s unsurprising that clubmakers have spent so much time and energy making these clubs work. And if you’re a senior? What clubs should you be using then? Without wanting to generalize, seniors will generally have slower club speeds – and fair enough too. As a result, steel shafts are going to be inappropriate for the majority of older golfers. Instead, opt for a graphite shaft, something a little lighter and easier to swing. Making graphite shafts an even better option still is the fact that they tend to vibrate less, meaning anyone with arthritis, tendonitis or anything else that comes with a combination of age and too much golf will feel more comfortable with these clubs. An inevitability of getting older is that your swing is going to change – you probably won’t be able to get the same rotation, and your shot is going to change as a result. Consequently, you want a club that’s going to make it a little easier. While it won’t be the same for every senior, irons with thicker soles are most likely going to be suitable, making it easier to continue getting that high, arcing ball flight even in the presence of an altered swing. Many people dispute the importance of irons. They aren’t used as regularly as a putter, and they most likely won’t set the ball rolling (hopefully not literally) off the tee on a majority of holes. 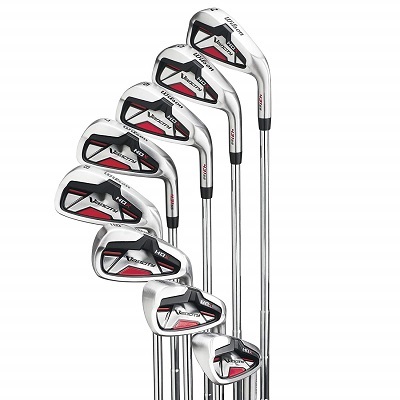 The reality is, however, every club in your bag is important, and around half of them are going to be irons. Irons can turn a potentially great hole into a wasted one, or do the opposite and get you out of deep trouble. They are used in such a wide variety of situations, and as a result it’s vital to have a set that you can trust. The best way to go about ensuring this is to get clubs custom-fit. Not only will this mean your clubs are the right size for you, and you won’t be fighting a losing battle by trying to improve your iron game with an inappropriate set of clubs, but it will also give you the opportunity to speak to somebody in the know about the other elements of your club – for example, the shaft type. Generally, steel shafts are better for higher-level players and graphite shafts for the other end of the scale, but recent advancements mean the latter are now more widely used even at the professional level, so it’s important to ask questions to determine what you should be looking for. There’s various other things to consider, too, perhaps most namely the thickness of the sole of your club. Better players tend to be more suited to narrow soles, while thicker soles make it easier to get the ball in the air and are better for beginners, seniors and lower-level players. 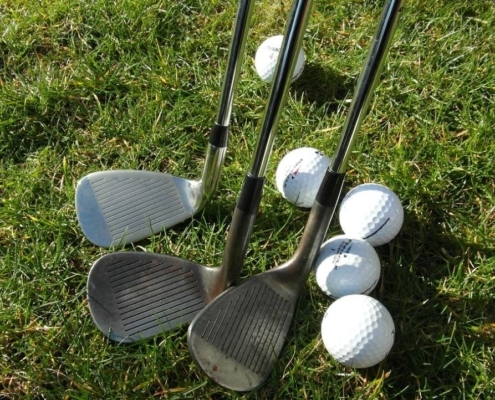 All this information can get a little confusing and overwhelming, but if there’s two things that you should take out of this article, it’s these: irons are extremely important to your game, and the most suitable irons for one person may not be the most suitable for another. Remember those points, do your research, and you’ll get a set of irons that will help you to take your game to the next level.